Raising kids can be a daunting task! 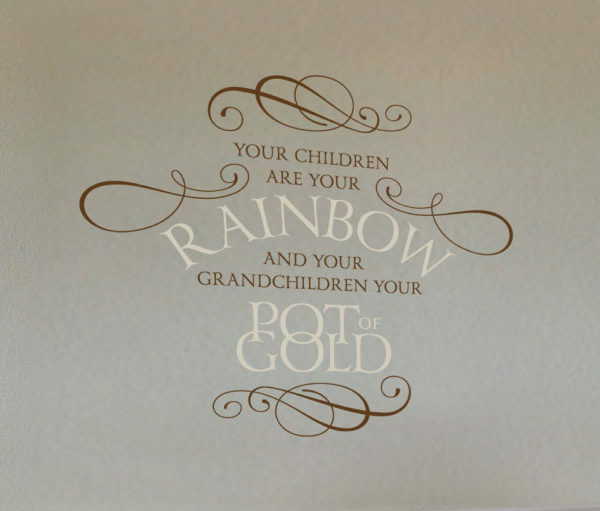 We have something that will help you tell your kids that you value them! 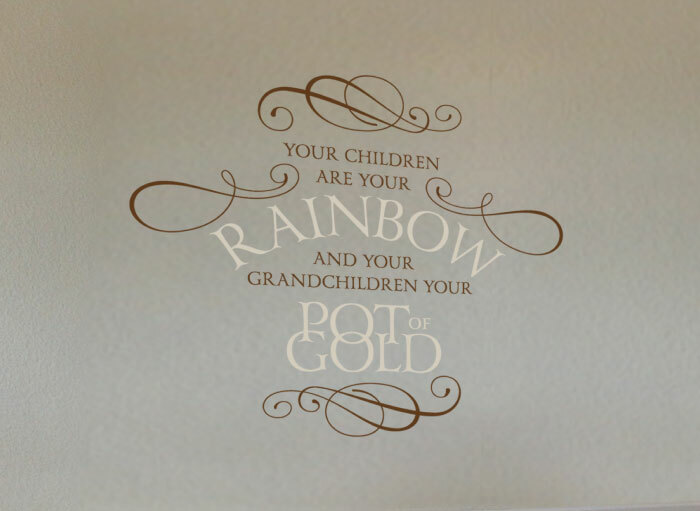 ‘Your children are your rainbow and your grandchildren your pot of gold’ wall words look great in this family room. That wall space is amazingly balanced! These wall letters tie in so well to the cushions, carpet, staircase barrister and the floor. 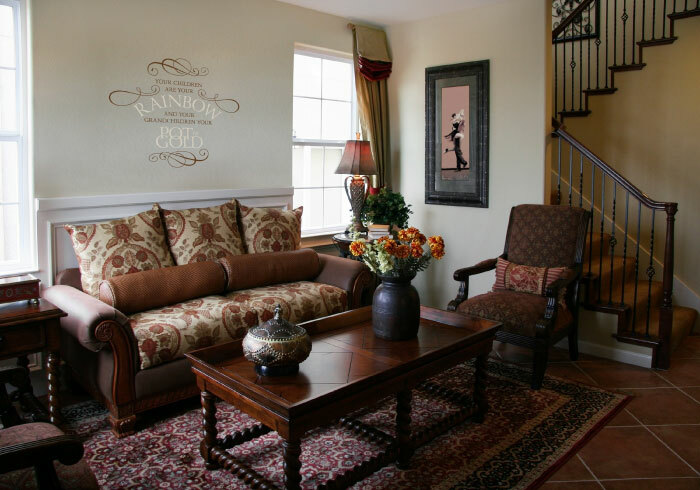 The flower theme on the couch and the swirls on the wall lettering are stylish and do create a cheerful atmosphere. This is a unique way of influencing the mood you would like in your home. The wall lettering will not only be a delight to look at, but they will have a positive impact on your kid’s self-esteem. Now that is nurturing! Are you looking for one of a kind birthday or housewarming gifts? Try DecorativeLettering products. 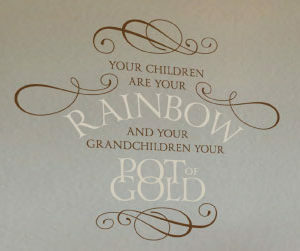 Made from resin, these wall quotes are durable, have a stylish painted on the look and are affordable! Extreme temperatures do not affect them and they will look amazing all year round. You may even remove them and reapply them on to a different spot if you so wish! They are available in a variety of colors style and size. You will find something that will fit onto your wall space and match your decor! Our designers are very creative: you will end up with high-quality wall decor that you will enjoy for years to come! Do call or email. 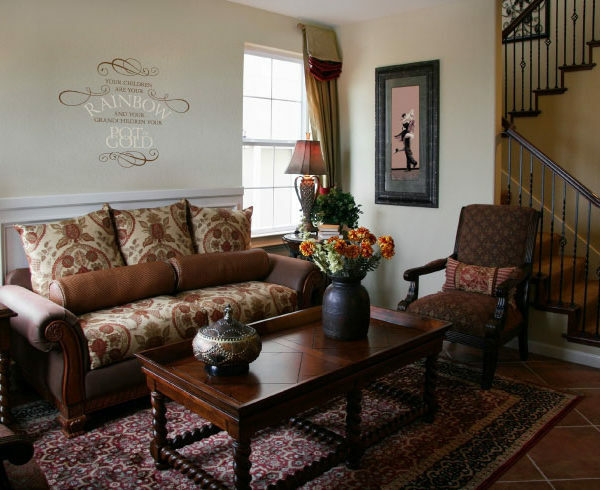 We would love to help you decorate with wall decor that inspires and builds relationships!